Chris's eyes turn towards Twins prospects Nick Gordon and Royce Lewis. In-person notes on prospects SS Carter Kieboom, LHP Jalen Beeks, RHP Enyel De Los Santos, and a quick hit on OF Juan Soto. Chris's eyes turn towards Braves prospects William Contreras, Huascar Ynoa, Jean Carlos Encarnacion, and Drew Lugbauer. Scouting looks at former first round picks Brendan Rodgers of the Rockies and Erick Fedde of the Nationals, plus quick hits on a few other minor leaguers. Chris's eyes turn towards White Sox phenom Eloy Jimenez and Marlins top prospect Monte Harrison. Chris looks at Heliot Ramos, Jose Marte, and other Giants prospect on the Augusta (Single-A) roster. 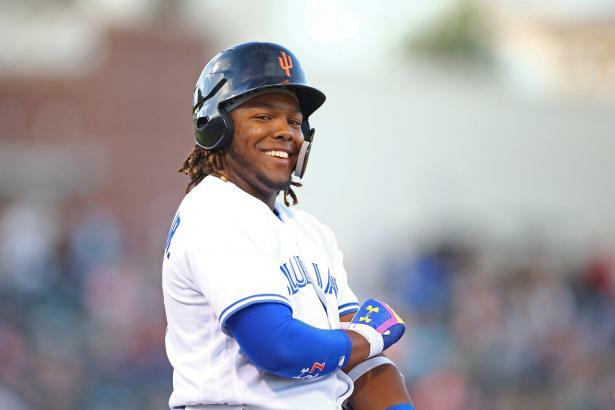 A first-week, in-depth look at two Top-15 prospects playing on the same squad: OF Vlad Guerrero Jr. and SS Bo Bichette. A scouting look at Nationals prospect OF Juan Soto and notes on Luis Garcia, Yasiel Antuna, Brigham Hill and Jackson Tetreault.